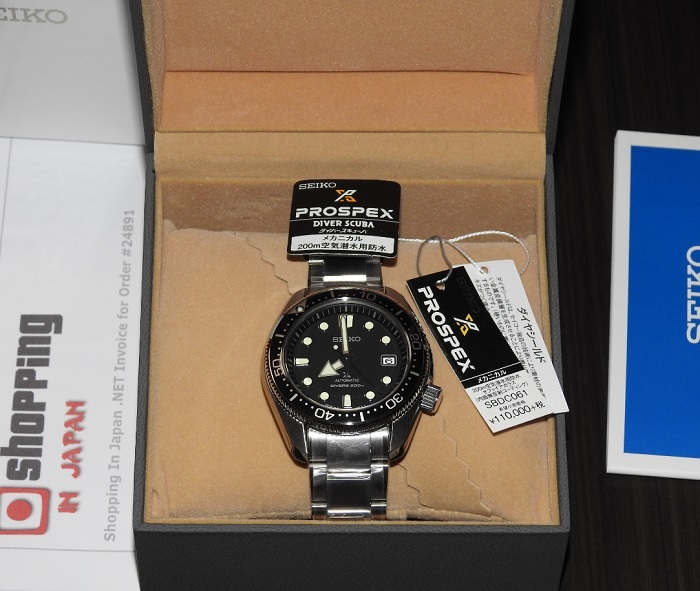 Price down in Japan for this Seiko SPB077J1 or as know in Japan as Prospex SBDC061 that comes with uni-directional rotating bezels, complete with aluminium inserts with 60-minute diving scales, screw-down crowns and water-resistance rating to 200m. This SBDC061 is a JDM (Japanese Domestic Market) watch model and it's now in our stock - ready to ship within 48 hours to any country. So buy now before it’s too late!